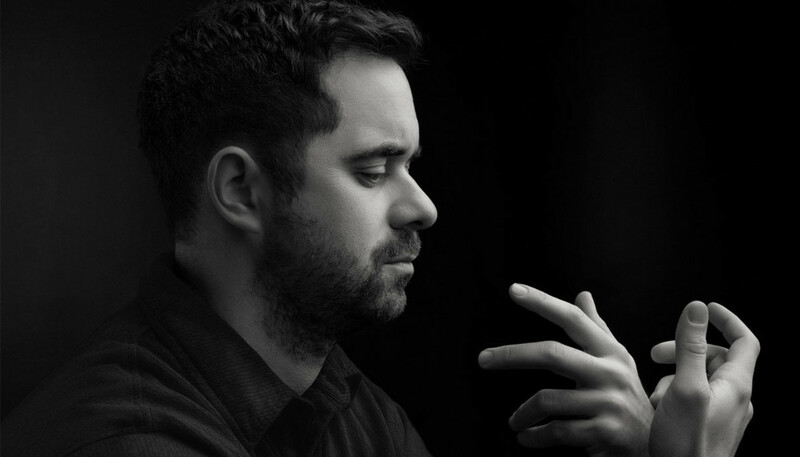 Jean-Michel Blais might be picking up favorable comparisons to Nils Frahm for the classical-meets-electronic compositions on his fantastic new album, but he never intended to become a musician at all. We sat down with the French-Canadian pianist and composer to discuss his accidental career and latest LP Dans Ma Main, and heard how music has helped him overcome his struggles with Tourette’s. You’ve just come from Berlin. What were you up to there? I met with Ableton. It’s interesting, because this whole album feels like a spectrum between the purest classical and electronics, so I met with Ableton to discuss what software is missing for classical pianists to use electronics. Like, how do we integrate that? I realized I know nothing, and that there’s always room for improvement and creativity and change. A couple of years ago you worked with Montreal electronic musician, CFCF. How did that collaboration help you bridge the gap between your mostly-classical debut and this new, more electronics-focused second album. I think we met 10 times and we wrote seven songs and we recorded five, and that was the EP. It was not supposed to be an EP, just a show, and then people were like, “We want to hear that again,” so we were like, “Ok, let’s record it, then.” And really, Michael of CFCF is the guy that introduced me to software and plug-ins. I couldn’t differentiate a midi controller from a synthesizer a year and a half ago, which shows the limitation of a classical education. So CFCF helped me work that out, and with the new album he’s involved, because often I go to his place with my laptop like, “What should I do with that?” and he’s coaching me. Not in the composition side, but more like the production side. There are some really interesting pianists now, who play with software and programming, almost artificial intelligence. It’s just exciting. Art is there for expression when the words won’t come. When I was younger, music was my diary. You mentioned your classical training, but you were initially self-taught on the piano, right? I got into the Conservatory at the age of 16, which is super late to get in. And I was super lucky because in the class there was someone who just left, and they took me not because I was good but because I had the potential to become good. It was amazing training but also I was so frustrated because I felt like I couldn’t explore everything I wanted in the music, so I quit playing piano for a year. And for 10 years I wasn’t really thinking about doing music just because I needed something concrete: I needed to help people, and give a meaning to my life. It really felt like music was this aristocratic, posh, bourgeois thing and I was like, “There’s people dying in Guatemala, so I’m gonna help them instead.” So that’s why I went to Guatemala and started working with kids in orphanages. I was travelling and searching myself a lot. You were a teacher, right? I was a special educator; working with children with special needs and behavioural difficulties. It really brought me to look at it as a systematic issue, because it’s political and it’s economical. That’s why I went to university: to come back and transform things as a teacher. I didn’t teach music at all. Mainly, I wanted to help my students to develop their own way to think about the role we play in society. But so often I have people reach out to me, sad and depressed, saying, “Your music is helping me.” It’s common for musicians probably. And, in terms of connecting with people, I did a show in Paris a few days ago, and suddenly I just started challenging the audience, asking, “Can Parisians sit on the floor?” And they were so offended that they all sat. So you have, like, 600 people sitting and suddenly people started crying, diving into themselves. It was really beautiful, and then I realized it’s not about me; it’s about what create together, you know? There’s a need for it. Are we right in thinking that music had therapeutic properties for you too, when you were growing up? Yeah, when I was young, it started all of a sudden. It’s called Tourette Syndrome and it often comes with OCD and ADHD. There was a mix of the things that happened to me. I’m from a small town, almost a village, and there was no will to label [the condition] and buy pills or drugs for it. It was more like, “That’s how he is.” My friends were so patient with my tics or making noises. And we realized that when I was playing piano – from the moment I touched the keys to the moment I stopped – everything would stop. Like, no tics and my concentration was completely there. It was like magic. So I think piano played an important role in self-treatment. And playing music is one thing, but composing and improvising is also like a diary. It’s expressing in a secret language concrete things that people won’t understand. Maybe that’s why I think sometimes that my music is talking to people, somehow? My song “Roses”, for example, is for a friend of mine whose mum passed away from cancer. You know how when someone passes away it’s hard to know what to say? Well the music came somehow. There’s hope and grief in there. So it’s like my music channels something else, or that I’m just a tool through which emotions can pass. Have you played the song to your friend? Yeah. Ooof. She wants everyone to hear it. 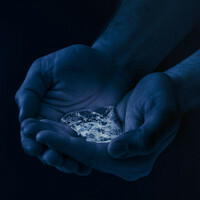 For the album there’s a photo for each song, and for that song it’s her hands. I think each track [on the album] has a story. I was scared at one point when I started doing music, like, what about if I get tired of the songs? But people’s reactions make every night different. And I was scared not having more inspiration but now I realize that it’s ok because I don’t need to just talk about me. This album is much about other people and I’m really happy that it can work that way. Do you see common themes running through Dans Ma Main? For sure. Because I discovered Ableton, I had insomnia for this week, and I almost composed everything in one week, at night. I think the record grasps this moment of truth of when you go to sleep. Like, there’s always this moment where you’re alone with yourself before you fall asleep, and that’s where you think. I think that’s where the album is set; in this moment of nice solitude and of truth. And you know those moments when you start dreaming? A song like “Blind”, that’s what it encapsulates for me. It’s piano and then this weird synth comes in and suddenly you’re somewhere else, until the piano comes back and then you’re like, “What just happened?” I think the night-time feel is strong. Another thing I loved about living in Berlin was the period from 5am to 7am, where the early workers are taking the same S-Bahn as the people who come home from partying, and they’re in a similar mood. I think it’s beautiful that the night brings together people from two extremes. The song “Outsiders” samples Jean-Michel Basquiat discussing anger. Can you tell us about your connection to Basquiat? It’s interesting because quoting Basquiat is trendy somehow. But at the same time, how I got to know Basquiat was not because it was trendy. I was young and I searched for my name on Google and I found Jean-Michel Basquiat. This quote is something beautiful. The silence after his words, brings me back to John Cage’s “Silence”. Silence is extremely powerful. Silence is music. And [Basquiat’s] way to not answer question implies, “Look at my paintings.” It’s like, why are you even asking him? What do you want from Basquiat? Taking everything from the inside? On the song, the piano comes in an answer somehow, and as something soothing. Art is there for expression when the words won’t come. When I was younger, music was my diary. Things I couldn’t say, and things I was living inside, I would transform into art. I think that’s what Basquiat did. Having almost fallen into this career as a professional musician, what are your ambitions? Instrumentally-speaking, the piano as an instrument has somehow stagnated and I think the instrument should be questioned and pushed beyond its limits, integrating digital and acoustic and analog technology. Introducing digital music is really important for me because it feels like all these classical composers were always working with the finest, most technologically advanced instrument of their era. So why would I now work with old instruments? Also, coming from working with people as a special needs educator, in poorer districts, I don’t want to create something elitist or disconnected from people. I wish I could open those doors more. But I’m so not an ambitious person. I mean, two years ago I was not playing piano. It sounds cheesy but if I had ambitions it would be to have the strength and the creativity and the courage and the time to keep this going up to where it could go.